Capturing the mysterious beauty of celestial bodies is now within grasp with the launch of the new D810A, a Nikon DSLR*1 designed with an array of features built specifically for the most dedicated astrophotography hobbyists. Chief among the D810A’s strength is its ability to capture astronomical subjects that emit the H-alpha wavelengths of light such as nebulae and other distant galaxies in red, allowing astrophotographers to see them just as imagined. Helping even the most skilled photographers, are features such as longer exposures in low-light conditions with minimal noise, and a live view preview function which assists with planning the best shots. In addition, 36.3 megapixels ensure superior image quality in ultra-high definition. Class-leading performance: The D810A is equipped with an array of top-notch features, designed to deliver superior image quality. 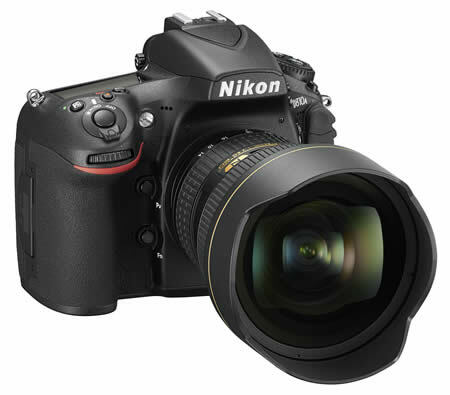 At the core of full FX performance, images with rich tonality and high resolution are guaranteed with the 36.3- megapixel Nikon FX-format CMOS sensor built without an optical low- pass filter. With the power of super- high resolution, the possibilities are endless as photographers can capture rich detail, crop with confidence or even turn photos into wallscapes. Taking things up a notch, the image sensor which has been specially-developed for the art of astrophotography, is particularly sensitive to emissions of the H-alpha wavelength, allowing astrophotography enthusiasts to shoot stunning images of nebulae and constellations. Surpassing details and precise tonality: Also ensuring unrivalled image quality is the EXPEED 4 image- processing engine, which improves noise reduction performance at high sensitivities, as well as upgraded depth and clarity in gradation rendering. Made for capturing the night sky, the ISO sensitivity ranges from ISO 200 to 12800 and can be decreased to Lo 1 (ISO 100 equivalent), or increased up to Hi 2 (ISO 51200 equivalent) to suit a variety of environments. Behind the most powerful, readily available camera for astrophotography, is its unique ability to capture nebulae that emit the H-alpha wavelength in red, which cannot be achieved with ordinary DSLRs. The D810A*1 employs an optical filter (IR cut filter) with reassessed transmission characteristics in which the transmission of H-alpha spectral line has been increased by approximately four times from a typical DSLR. This allows remarkably-detailed shots of nebulae, constellations and other celestial objects in rich tones and vibrant colours that are true to the eye with a high signal-to-noise ratio. Vivid clarity for a masterpiece: One of the challenges astrophotographers face when they point their cameras to the sky, is the difficulty in observing the live view image which is often too dark, especially when photographing in the wilderness away from light pollution. The D810A offers an intelligent solution to this with the live view preview function which displays a brighter, clearer preview image when the shutter speed is set at 30 seconds or more*2, enabling easier focusing and framing adjustment, while minimizing misaligned focus on the desired subject. Built for journeys: Venturing out to photograph the unknown, the premium design and build of the D810A ensures that astrophotographers have reliable equipment that helps them capture their best shot, even in less than favourable weather conditions. Inheriting the robust, weather-resistant design from the Nikon D810, this FX-format DSLR offers a comprehensive seal against dust and water droplets, with a grip that sits comfortably in the hand for steady shooting. The D810A is a digital SLR camera designed exclusively for astrophotography. When shooting under light sources with a significant amount of near-infrared wavelengths, or capturing common subjects exhibiting high reflectance at near-infrared wavelengths, resulting images may exhibit an unusually red cast.